Val trained as a paediatric physiotherapist. In 1983 she spent a year with The Leonard Cheshire Foundation as a foreign volunteer paediatric physiotherapist working with The Bethlehem Arab Society for Rehabilitation then situated in Bethlehem itself. When she returned to the UK she founded ABCD with Georgina Mortimer. Alastair Harris is a risk manager and accountant working in the City of London. He and his wife Deborah live in south west London and have three grown-up children. Alastair first visited Bethlehem on a pilgrimage in 2001 in connection with ABCD and was delighted to become a trustee in 2016. Anthony Glaister FCI Arb is a commercial mediator, arbitrator and adjudicator and has been involved in resolving disputes since qualifying as a solicitor in 1980. He qualified as a mediator in 1994, and as an adjudicator in 1999. He is recognised as a leader in the field of Alternative Dispute Resolution (ADR). 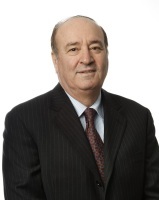 Born in Bethlehem, Bassam Aburdene is Chairman and co-founder of the Capital Trust Group. In addition to being a trustee of Action around Bethlehem Children with Disability (ABCD), he is a member of the Board of Trustees of Bethlehem University and is active in supporting many Palestinian and other international charities. Carol Godsmark, a journalist-PR, originally from Canada via other countries, has written about the Middle East for the media and has been a past and recent visitor to the camps and other ABCD work venues on behalf of the charity. She writes the newsletter and other ABCD publications. Claire Tillotson is a state registered Music Therapist and is also a lay Canon at Rochester Cathedral. She is in charge of ABCD's music therapy projects. ​ Claire is married to James and has 2 children: Rachel and David and they live in Bromley in Kent. At present Claire is a freelance music therapist and also Director of Music at St Mary’s Shortlands. Daniel Burton is an Anglican Team Rector in Salford, Greater Manchester. In the mid ‘80s he worked for two years in a Palestinian Children’s Home in Ramallah. For 20 years he was a trustee of the charity “Embrace the Middle East” – formerly known as BibleLands. He has led many pilgrimages and visits to the Middle East. Firas Sarhan is the Director and lead academic for the Centre of Excellence for Telehealth and Assisted Living. He was previously Senior Lecturer in the School Advanced & Continuing Practice at Buckinghamshire New University. He has more than 20 years experience in acute, rehabilitation and continuing care of people with spinal cord injury. Jane trained as a physiotherapist at the Middlesex Hospital, London. She continued her career working for several years in a busy central London hospital (now the Chelsea and Westminster). Jane has been a Trustee of ABCD for two years and has made regular field visits to the projects on the West Bank. Lara, who has been a part of the ABCD family for a long time, has visited the projects on many occasions and engages enthusiastically in all our fundraising activities. Lara was honoured to become one of the Trustees in 2018. 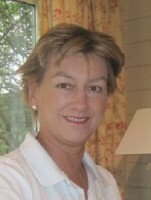 Alison was ABCD's administrator for over ten years. Her name is now synonymous with ABCD, having fostered relations with so many church communities and taken part in many pilgrimages. 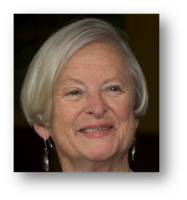 She is also an accredited Methodist preacher and administrator to the charity Living Stones. Rev Garth Hewitt is first and foremost a troubadour, performing with his guitar across the world his songs of peace. Founding the human rights charity, Amos Trust in 1985, he worked as it's Director for 26 years. For 25 years he was also Director of the Greenbelt Festival. He has written many books and has created excess of 40 albums over the years. He is also a Canon of St George's Anglican Cathedral, East Jerusalem. The Right Honorable David Lidington has been the Member of Parliament for Aylesbury from 1992, and is currently Minister for the Cabinet and Chancellor of the Duchy of Lancaster. Previous to this, he was Minister for Europe at the Foreign and Commonwealth Office and has represented the UK at the United Nations Security Council, the European Union, the Council of Europe, NATO and the Organisation for Security and Co-operation in Europe (OSCE). His work through the years has taken him to over 45 countries. Manuel Hassassain has, since late 2005, been the Palestinian Authority's diplomat in the UK. He worked for 25 years at Bethlehem University in various positions including Dean of Students, Dean of the Faculty of Arts and Chair of the Humanities Department and for the past nine years as the Executive Vice President, during which time he also served as the President of the Rectors' Conference of the Palestinian Ministry of Higher Education and President of the Palestinian-European-American Cooperation in Education (PEACE) program. "Accepting the invitation to become a Patron of ABCD was both a pleasure and an honour. For my family, it helps sustain a close connection with so many of those with whom Georgina worked for some 30 years. After a long career in international banking, I now spend my time as a sports administrator and also as the treasurer of a UK charity working in Tanzania on an endangered species programme. Our differing interests led to many an interesting conversation!" Rt Rev Simon Barrington-Ward is a bishop with pastoral care of the University of Cambridge, an honorary assistant bishop in the Diocese of Ely, honorary assistant chaplain of Magdalene College where he has been an honorary fellow since 1987, and a chaplain to the staff of Ridley Hall, Cambridge. In the New Year Honours 2001 he was appointed a Knight Commander of the Most Distinguished Order of St Michael and St George, having served as the Prelate of that Order. The Right Honorable The Lord Hylton is a British peer and landowner. He is one of 92 hereditary peers elected to remain in the House of Lords after the passing of the House of Lords Act 1999, sitting as a crossbencher. He is currently the longest serving Crossbench member of the House of Lords. The Right Reverend James Langstaff is an Anglican bishop. Since December 2010, he has been Bishop of Rochester. From 2004 to 2010, he was Bishop of Lynn, and a suffragan bishop in the Diocese of Norwich. Reverend Canon Roger Royle is an Anglican priest and broadcaster. He has been most well known for presenting Sunday Half Hour on BBC Radio 2. Afif Safieh is a Palestinian diplomat. He was most recently the Palestinian ambassador to the Russian Federation. He is considered the most experienced and skilled Palestinian diplomat having served in the three most politically significant capitals: London, Washington, and Moscow. Rt Rev Jonathan Goodall has been the Bishop of Ebbsfleet since 2013. Previous to this he had been served on the Bicester Team Ministry, including time as Assistant Chaplain at HMP Bullingdon. Following this he was research assistant and chaplain to the Bishops of Gibraltar and ecumenical secretary and chaplain to the Archbishops of Canterbury. Bishop Michael has a background in education and pastoral ministry. Since retiring as Bishop of Exeter 2013 he has lived in West Sussex, acting as an Assistant Bishop in the Diocese of Chichester. He has a long connection with the Middle East, taking a particular interest in the people and communities of Israel/Palestine and speaking regularly about their needs, particularly when a member of the House of Lords. He has visited the region often in connection with the wide range of Middle East focused charities with which he has been associated and also regularly led pilgrimages and study tours to the area.